Written by Eva Johnsson, DVM, for the Swedish PON-magazine. This article is a simplified description of the thyroid problems occasionally occurring in the PON, how the diagnosis is made, a short description of the illness and why you ought to test your dog. It is not intended to cover the whole area in this rather complicated subject, for a more in depth knowledge one should read the huge amount of published data covering this subject. Hypofunction of the thyroids is a common problem in several breeds. Primary hypofunction of the thyroids (that is the thyroid itself is affected) is the most common. This disease is usually classified as lymphohistocytic thyroiditis (auto-immune) or idiopathic thyroiditis. Autoimmune thyrioditis is caused by a production of autoantibodies by the dog, which in the end results in a hypoplasia of the thyroids. In the case of idiopathic thyroiditis the cause for the hypofunction is unknown/undetermined. A hypofunction of the thyroids could also be secondary, i.e. caused by external factors such as low production of the hormone that stimulates the thyroids (TSH), some medication or after infections. 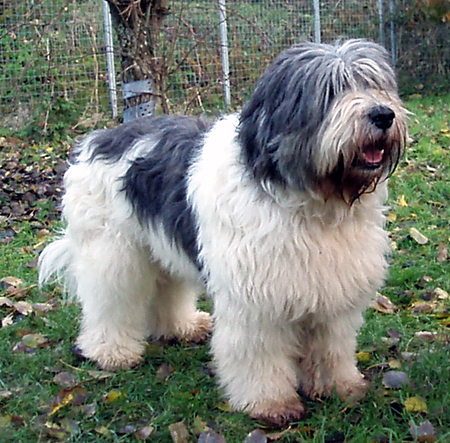 Autoimmune thyroiditis has a genetic disposition in several breeds, including PON. How does the thyroids function? The thyroids are a paired glandula situated on both sides of the trachea. It produces with the help of iodine two hormones (T4) and triiodo-thyronine (T3). These hormones circulate in the blood and affect the energy production in all the cells in the body and also the growth. The production of these hormones is controlled from parts of the brain with the help of other hormones, thyroid releasing hormone (TRH) that is secreted from the brain (hypothalamus) and stimulates the production of thyroid stimulating hormone (TSH) from the pituitary gland, which in term stimulates the secretion of T3 and T4 from the thyroids. Simplified this function could be described as a thermostat. When the amount of free circulating T3 and T4 has dropped below a certain level in the blood a signal is sent to the brain. This signal starts the production of TRH in the hypothalamus, which in term signals to an increased production of TSH, which stimulates the production of T3 and T4 in the thyroids. When the amount of T3 and T4 increases in the blood to the desired level a signal is sent to the brain to reduce the secretion of TRH and subsequently TSH. This mechanism is therefore called a feed-back mechanism. When the thyroids itself cannot produce the desired amounts of T3/T4 (primary hypofunction), the amount of TSH is increased trying to stimulate the thyroids to increase their production of T3/T4. T3 and T4 circulate in the blood bound to protein with a small amount circulating unbound (so called free fraction). It is the free fraction that is active and can pass through the cell membranes. The protein bound part work as the reservoir. What are the clinical signs of a hypothyroid dog? The thyroid hormones affect almost the whole body and therefore the clinical signs might vary. Usually a change in the coat (alopecia, dry coat, slow hair growth) is seen. Other symptoms are tiredness, obesity, skin problems, ear problems, changed behaviour and a change in the heart rate. The diagnosis is made based on the clinical signs and a battery of blood tests. When hypofunction of the thyroid is suspected, total T4 and free T4 and sometimes cholesterol are usually measured. This panel is used to determine if the dog is hypothyroid or not at the time the measure is performed and will not predict the future. A point to observe is that the amount of total T4 could be below the reference rage even if the dog does not suffer from any thyroid problems. A low value of protein bound (total) T4 but normal TSH and free T4 does not suggest a hypofunction of the thyroids and the cause should be looked for elsewhere. Problems that cause low total T4 could for example be chronic inflammation, liver problems, treatment with cortisone and several other medicines. In man, an increase in TSH is a certain diagnosis of hypothyroidism, but that is not the case in the dog. In dogs it is recommended to analyse at least TSH and free T4. However, it is utmost important to make a full investigation background of the dog and clinical signs before making a definite diagnosis. genetic disposition (inherited) it is important to try to limit/reduce the prevalence in the breed. (thyroglobulin autoantibody test, TgAA test). This test does not tell if the dog is hypothyroidit or not – it tells that the dog is producing autoantibodies. It can take several years before a positive dog will develop autoimmune thyroiditis, although most dogs will need treatment within a couple of years. That is, a dog positive for TgAA can be clinically healthy, but is – despite this fact – a carrier of the disease and will eventually develop hypofunction of the thyroids. False positive results can be produced if the dog has high amounts of other circulating antibodies. It is therefore not recommended to perform the test when the dog has had an infection, or within two months after inoculation. False negative results could be seen with an incorrect performed analysis, if the dog is treated for hypofunction or in the case when the whole thyroid is destroyed. In the latter case the dog should show serious clinical signs. The TgAA test is a ”marker test” for autoimmune thyroiditis and will not predict the actual function of the thyroids. For the function of the thyroid the whole battery of tests is required. Autoantibodies are usually developed between the ages of 2-6 years. It is also important that the test is performed at a licensed laboratory. Why should I test my pet dog? Autoimmune thyroiditis is an illness with a genetic disposition. At the moment the mode of inheritance is unknown in the PON. In humans a similar illness is known, Hashimotos disease, which is believed to have a polygenetic trait. In order to reduce the incidence of autoimmune thyroiditis in the breed, it is important to know in which combination of dogs the illness occur. To be able to know that, it is important to know the test results from as many individuals in as many litters as possible. Naturally also the positive test results is required and not only the negative! Today the only way to advice breeders on how to avoid thyroiditis in their breeding program and also to establish how the illness is inherited and possibly also develop a DNA-assay in the future is to test as many dogs as possible and submit the results. To test also pet dogs that are not intended for breeding will contribute to a healthy breed. The test should preferably be performed at the earliest age of 2 years and also after 6 years of age. After 6 years of age it should also preferably be combined with a full thyroid test panel. Testing for autoimmune thyroiditis can be compared with x-raying for HD (hip dysplasia) as an example. When evaluating HD it is quite natural to include the whole litter and that ought to be the same for autoimmune thyroiditis. What do I do if my dog tests positive for TgAA? If the result comes back as positive one should consider doing the whole blood screen to measure the function of the thyroid. It can take several years before the dog develops hypofunction of the thyroid requiring treatment. The treatment consists of giving the dog supplementation of thyroid hormones (levaxin): The treatment is life-long, but the dog can enjoy a completely normal life. and we will try to answer your questions.